In 2012, Yoselyn Ortega stabbed 6-year-old Lulu and her 2-year-old brother Leo to death in the bathroom of their New York apartment. 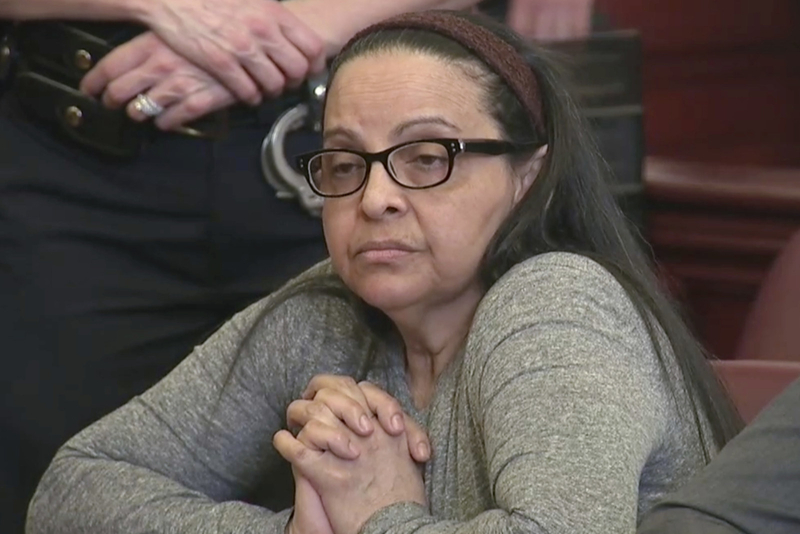 A New York jury has found a nanny guilty of murdering the two young children she had been caring for, rejecting her claim that she was too mentally unstable to understand what she was doing when she stabbed them to death in the bathroom of their Upper West Side apartment in 2012. On Oct. 25, Marina Krim came home and found the bodies of her 6-year-old daughter Lulu and 2-year-old son Leo in the bathroom. Yoselyn Ortega, the family's nanny of two years, was standing there and had stabbed herself in the neck, prosecutors said. Ortega had been charged with two counts each of first-degree murder and second-degree murder, but pleaded not guilty due to mental illness. On Tuesday, after hours of heart-wrenching testimony over the past several weeks, the jury found Ortega, 55, guilty on all counts. The case had been repeatedly delayed due to questions about Ortega's mental fitness. In 2016, her lawyer rejected a plea deal of 30 years to life if she took responsibility for her actions. The brutal murders garnered widespread attention at the time, shocking families across the country. Krim came home from taking her then-3-year-old daughter to a swim class when she found her two other children "bloodied" and "lifeless ... their eyes open, covered in blood," Assistant District Attorney Courtney Groves said in opening statements last month, according to ABC News. "I was destroyed," Krim testified. "She killed my best friends." Prosecutors had argued that Ortega was calculated, "purposeful," and knew what she was doing when she killed the children and put their bodies in the bathtub. They pointed out that the nanny had waited until Krim opened the bathroom door before plunging the knife into her own neck. She attacked Lulu first, who "twisted and turned and did everything possible" to avoid the knife, New York Assistant District Attorney Stuart Silberg said. But her nanny was "determined to end her life," stabbing the 6-year-old about 30 times. "From the attack on Lulu, she had learned that if she comes at the child from the front with the knife, she's going to end up in a death struggle," Silberg told the court in his closing arguments. "So this time, having learned what it takes to more efficiently kill a 2-year-old, wanting to cut his throat, the better way to do it ... is to come from behind." Ortega had told authorities that Lulu had tried to fight back and she had used at least two knives in the attack. The motive, however, remains murky. Ortega's lawyer said the woman often heard voices and had hallucinations. Over the years, details emerged from her relatives and friends, who said she exhibited signs of mental instability before the murders and had seen a mental health professional. According to court documents, the nanny told authorities she stabbed the children because she was struggling financially and was angry about being a cleaning lady. Ortega, who is a naturalized American citizen from the Dominican Republic, also expressed remorse, the court papers said, stating, "Oh my God, I'm sorry. I'm sorry for what I've done. Relieve me of my misery." Kevin Krim, the children's father and a former CNBC executive, declined to speak at a news conference after the sentencing, but Manhattan District Attorney Cyrus Vance Jr. gave a long, heartfelt statement directed at the parents. "For the past five years, Kevin and Marina Krim have lived through the worst nightmare any parents could ever endure,” he said. "My heart continues to go out to Kevin and Marina Krim and the entire Krim family; as a father of two myself, I can’t begin to imagine the pain they felt and continue to feel. I thank them for their strength and poise during this time of unimaginable grief and I hope that today’s verdict helps to bring some measure of closure to this period for their family." In memory of their children, the Krims started the Lulu and Leo Fund, which helps support art programs for children. The couple also had two more children, Felix, born in 2013, and Linus, in 2016, according to their Facebook page. "Thank you all for the love and support," Kevin Krim posted on Facebook. "Please keep spreading the message of positive defiance: Choose Creativity."